Drake is here for Soulja Boy's comeback but likely upset over The Weeknd's "Lost In The Fire" verse. Despite representing the same city, Drake and The Weeknd have had conflict in the past. 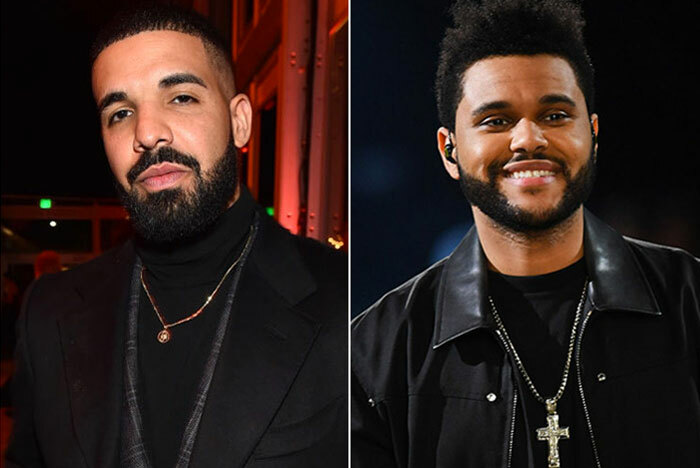 Drake is often credited for helping The Weeknd launch his career, although he's often reminded of Abel's contributions to Take Care. Unfortunately, it looks like the two Torontonians are at odds once again. Drake seems to have unfollowed The Weeknd on Instagram. This appears to be due to a bar in The Weeknd's collaboration with Gesaffelstein, "Lost In The Fire" which seems to have a bar directed at Drake. "And I just want a baby with the right one/ (I just want a baby with the right)/ 'Cause I could never be the one to hide one (I could never be the one to hide)," The Weeknd sings which many presumed to be a shot at Drake's child-reveal in 2018. The song ended up getting a co-sign from Drizzy's arch nemesis, Pusha T, who retweeted the song with three fire emojis which led many people to further speculate that the line was indeed a shot at Drake. After unfollowing The Weeknd, Drake followed the person that taught him "everything he knows," Soulja Boy. Over the past few days, Soulja Boy has been coming for Drake through interviews and Instagram Live sessions.